Sofia, Bulgaria - 21A, Angel Kanchev Str. 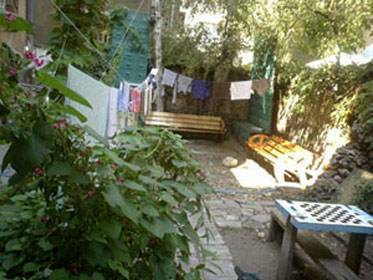 Best Hostel in Sofia ... The Art-Hostel is one of the best hostels I have experienced during muy travels! “…POSSIBLY THE COOLEST HOSTEL IN EUROPE”, according to the British “THE GUARDIAN”, are not just words, but rather the sensation to feel at home, when actually you are not. 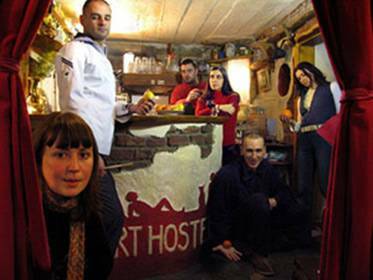 Art-Hostel, a well known and recognized around Europe and beyond cultural hub, celebrates its 10th ANNIVERSARY as one of the first hostels in Bulgaria. If you wish to join a decade of communication, meeting locals and integration of cultures, you would be more than welcome to join the club! Besides this, we offer you everything you might expect a hostel to offer + private accommodation for those who need it. Join us in to the next decade of stimulating international relationships, culture and last but not least, Art in all its shapes and forms!!! We do spend quite some time in our garden !!! 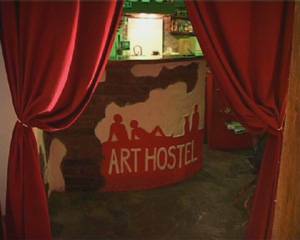 The Art - Hostel is as much a cultural hub as it is a bed for the night. With a Parisian mentality and a Russian thirst for liquor, this is a base for the confused protagonists of Sofia's subculture. Like joining a family for a few days, with seemingly never-ending parties at the weekends, this is quite possibly the coolest hostel in Europe. 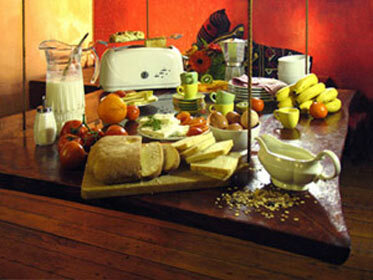 eggs, fruits/vegetables, musli, honey, jams Teas and coffee. Summer seaside and hiking recommendations. Highly recommended cheap Bulgarian restaurant adjoining the hostel with English menu, open 24 hours. A selection of many others within minutes walk. 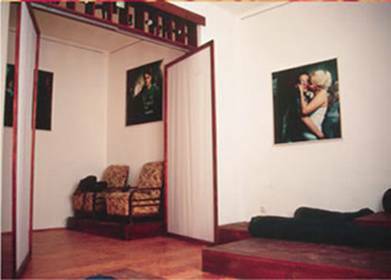 Private rooms are in authentic, renovated, high ceiling Sofia aristocratic apartments. Artistically designed by local artists. 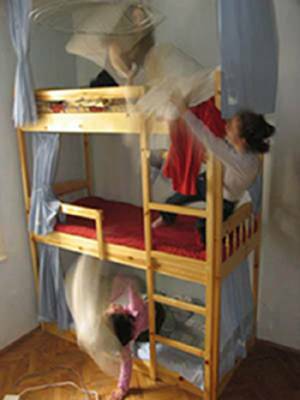 Dorm rooms with 4 and 9 beds. All beds with private curtains for more privacy. All rooms designed in different colours and details. Also cheap accommodation on mtresses available. Payment upon arrival. If reservation cancelled less than 72 Hours, no refund. bus 84 or 284 - get off on the last stop on Vassil Levski blvd. trams 1 & 7 for 6 stops, get off on Vitosha blvd. Attention: Due to current metro building activities all routes are subject of change!! PLEASE BE AWARE OF TAXI FRAUDS!!! !